Athena SWAN is an accreditation framework that provides a roadmap for institutions to address gender equity in science, technology, engineering, mathematics and medicine disciplines (STEMM) in higher education and research. 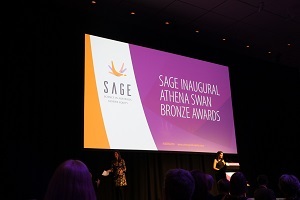 To be recognised with an Athena SWAN Bronze Institution Award, an institution must demonstrate commitment to advancing the careers of women, trans and gender diverse individuals in STEMM disciplines in Higher Education and Research and provide evidence across five key criteria. CSU Vice-Chancellor Professor Andrew Vann (pictured), who is a Pay Ambassador said CSU has a long-standing commitment to gender equity. “I am committed to CSU leading in the development of inclusive working arrangements for our staff in STEMM and in all areas across the University. “When we encourage diversity and develop the working arrangements to support such a commitment, we all benefit immensely – our staff, our students and the positive educational impact of diversity in teaching and research. “This year we have taken action to achieve genuine change with alterations to our Enterprise Agreement and the launch of the Workplace Gender Equity Strategy through to 2022. “Alongside this, we have reaffirmed our target to achieve gender equity for positions by 2022,” Professor Vann said. Professor Vann said the University is an active Athena SWAN participant and said its 10 principles were critical in driving the thought process around policy, practice, action and culture. “The recognition of the Bronze Institution Award is the culmination of two years’ work by the University to devise and implement the changes needed to achieve gender equity across the six campuses,” Professor Vann said. Professor Vann said over the next four years CSU was committed to actions that would not only reduce inequity in STEMM but across the entire institution. “These actions address issues identified in recruitment and induction; career progression and promotion; the gender pay gap; research; leave and flexible work arrangements; promoting inclusivity; and embedding the Athena SWAN principles within the University,” Professor Vann said. 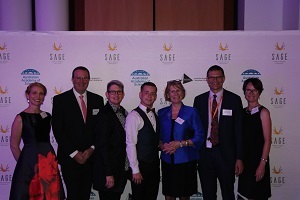 CSU Associate Professor in Veterinary Epidemiology and Public Health Dr Jane Heller who was a member of the University’s Self-Assessment Team and heavily involved in the award application, said the Athena SWAN Bronze Institution Award was about creating equity for everyone. “It’s about encouraging more women into the field but also creating a space where there is equity and recognition for everyone,” Dr Heller said. Dr Heller said the Athena SWAN Bronze Award application process enabled CSU to look at what it was doing to improve gender equity. “The Athena SWAN process has allowed us to also look beyond the numbers to the drivers for what people actually want. “The people responsible for driving the Athena SWAN process at CSU have been very transparent, not glossing over weaknesses, and reporting as is,” Dr Heller said. Dr Heller added the next step was to push forward the strategies suggested and identify and address unconscious biases in the workplace. 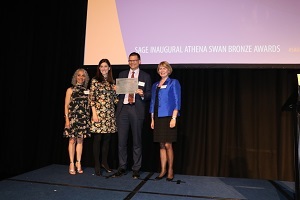 In Australia, Athena SWAN is run by Science in Australia Gender Equity (SAGE), a partnership between the Australian Academy of Science and the Australian Academy of Technology and Engineering. 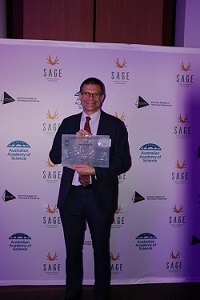 SAGE is funded by its member institutions and the Commonwealth government under the National Innovation and Science Agenda. Has a four-year action plan to address gender inequity in its STEMM disciplines. Athena SWAN awards are granted for four years following an independent peer review. After four years institutions must re-apply for accreditation based on demonstrated progress against actions identified within the initial application. Established in the UK in 2005, Athena SWAN has a proven reputation for creating a gender inclusive workplace. 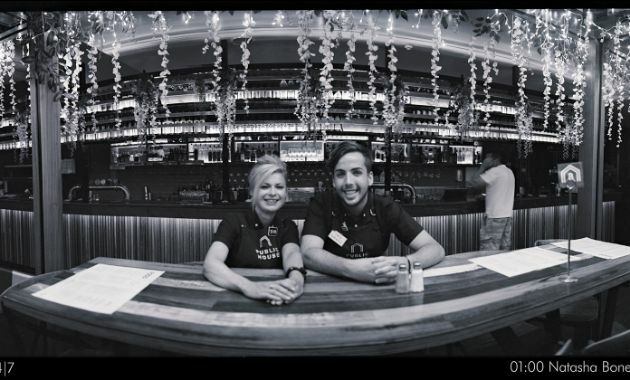 Contact CSU Media to arrange interviews with Professor Andrew Vann and Dr Jane Heller.